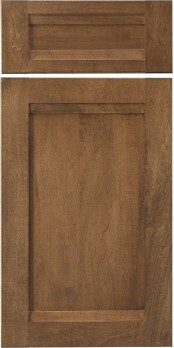 Conestoga released the Wakefield door in 2016 as a new ‘contemporary’ design. The top and bottom framing bead areas have a gentle slope to the panel face, while the left and right stiles have no detail on the framing bead. This door looks best when coupled with its matching drawer front. 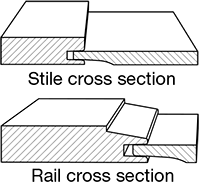 None - Design specific (FB01016 on rails with square bead stiles), no options.